We had breakfast a bit early and headed off up the steep hill that borders Dingboche. I knew the day was likely to be challenging when, right out of the gate, I couldn’t see to find a rhythm. With the terrain being so steep, I couldn’t find a step pace that let me keep my breathing in the nose only so I had to stop and let my breathing settle over and over again. Climber Smurf and I led the way to the small stupa on the saddle above Dingboche. Smurf loves prayer flags as much as I do so we stopped to take a few pics. Hugo and Ade joined us. Both were climbing well and they soon were out of sight up the hill. I kept trying all of my strategies such as counting steps, timing my breathing my steps, and using mantras. Nothing seemed to solve the situation so I kept stopping and starting, starting and stopping. I gave myself a goal of three hours of climbing rather than the top of Nagarsang just as a way of changing the dynamic in my head. It was feeling so hard and the top was SO far away, that a more nebulous goal was less intimidating. I kept starting and stopping. Stopping and started. Bill and Amit caught me and passed but they were also struggling to find the groove as well. We all kept stepping. Eventually, Bill seemed to find his pace and Amit and I commiserated as we kept making our way up the hill slowly. 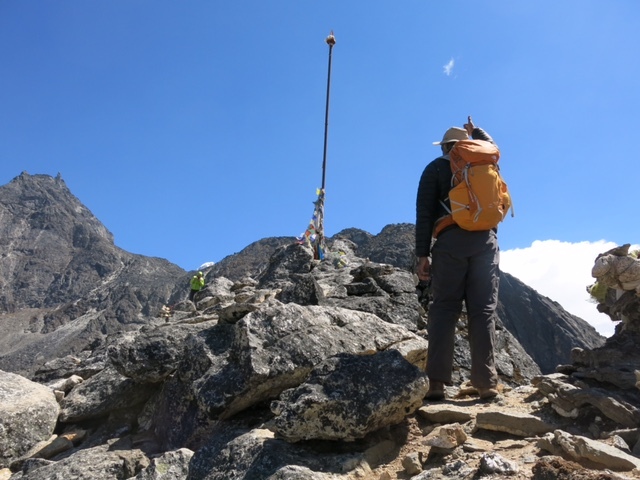 Eventually, we spotted the prayer pole on the summit of Nagarsang and we knew we would make the top (the map calls it just over 5200 meters) Bill waved us in and we bundled up to spend two hours acclimatizing on top. The views on top were stunning making all the hard work and mental struggle of getting there totally worthwhile. The climb was almost a 1000 metres of elevation gain and it’s reasonably steep. I’ve been up to the summit of Nagarsang five times now and each time I’ve so enjoyed the view. 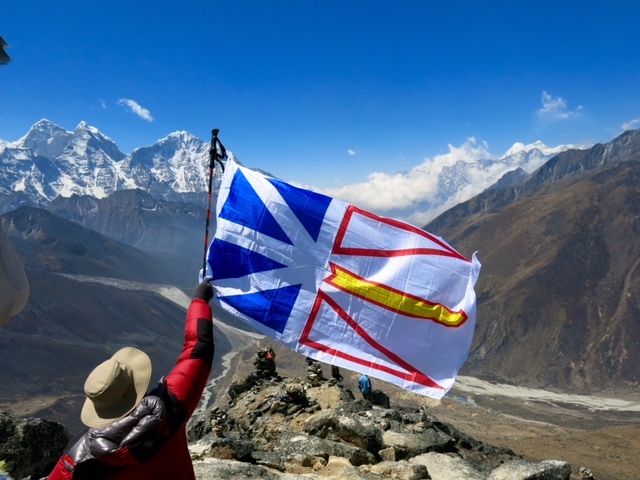 In 2010, a group of trekkers from Newfoundland, hiked into base camp with me. We took a NL flag up with us so I wanted to bring the flag up once again. Amit captured the picture above of me with the flag and I took the picture of Amit when he had the idea that the wind might inflate the flag just off the summit. From the summit, you can see down the valley from where we came from (the direction that Amit is pointing). 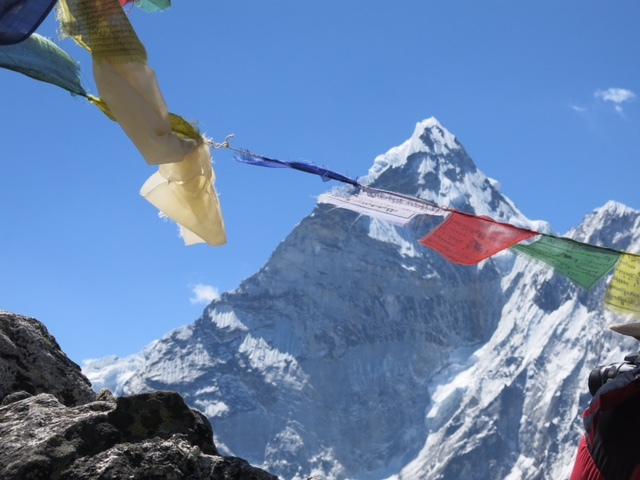 You can see over to the summit of Ama Dablam (behind Climber Smurf and the peak I attempted in Fall of 2015). You can see up to Island Peak and the Amphu Labcha as well as over to the Cho La (both passes we crossed on the Great Himalayan Trail). It was beautiful in all directions. After our two hour sojourn, we headed back down and enjoyed the descent. The big ridge we descended gave us great views of Dingboche. As is the pattern, the clouds have rolled in once again, the temperature has dropped, and the skies are no longer blue. I had a great lunch of a veggie burger and chips chilli (French fries covered in chilli sauce). I have a tiny headache from the oxygen debt I built up this morning but I am breathing deep and hydrating well. I did my best to steer clear of “future dread thinking” i.e. If this is this hard today, what will it be like at twice this elevation? I’m proud I reached the top on a day I couldn’t find my groove. Pushing through and using perseverance will serve me well the next time, my groove is playing hide and seek. 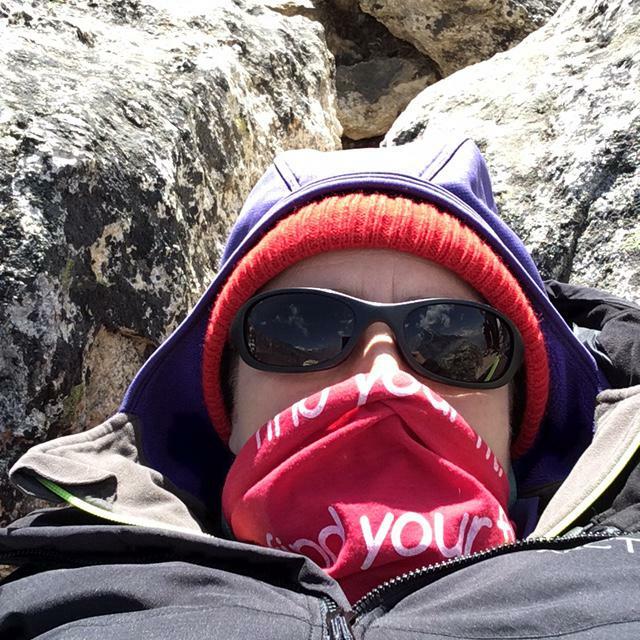 I’m also proud I managed to wear my Find Your Fit NL buff about half the time on my way up and all the way down. I realized today that there is only one more week in the Recreation NL Community Find Your Fit Challenge. I hope lots of folks have been getting themselves moving and finding some fun and exciting new ways to Find Their Fits. I think it can be easy to forget how hard life at altitude can be. Today was a reminder. You can’t store acclimatization-you have to earn it each time. It’s hard to do but good to do. By working hard, the views that I get to see will bring joys for years to come. Great pictures today TA. 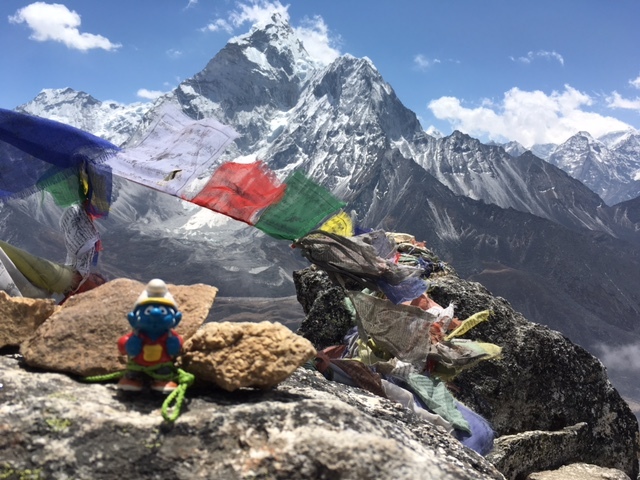 Ama Dablam looks amazing…as well as Climber Smurf! What was the temp like…looks to be cold? I’m loving your blog. 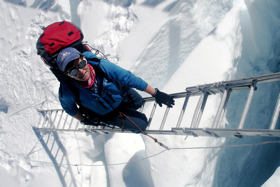 Keep blogging and keep climbing.